Rajini & Kamal looked upto him for style! Overacting has been one thing that the legend of Tamil cinema has been often accused of. Even you might have heard such a thing from someone or might have even thought so yourself. It is not really surprising that many of today’s youngsters and those accustomed to new age cinema find Sivaji Ganesan as one who went overboard with his expressions. It is a classical example of the generation gap, the present not being able to digest or accept what was considered great in the past. There can be no two opinions about the fact that Chevalier Sivaji Ganesan is a legend. But there are many who see chinks in that legacy. I believe it is a case of not being able to understand the great man and the times that he was part of. enough to accommodate subtle expressions. It was more or less a theater setting with the camera being kept straight and the actors being asked to perform within the frame, the occasional close up shot being given for the expression of surprise, shock, romance or whatever. Even the dialogues were theatrical. All techniques like bottom and top angle cuts, lighting that suited the situation, precise make-up that enhance cinema so much were non-existent. Sivaji Ganesan began and for a large part, worked in such an era as an actor who excelled in emotional roles. He just kept along with his times. The greatness of Sivaji Ganesan comes to light when we look at the range of roles that he has done in his career and the range of styles that he adopted in each of his movies. Not many actors of our times have shown the courage that he has. To do a full fledged hateful negative role while you are still a leading hero takes a lot of confidence and Sivaji Ganesan showed that in Andha Naal. Actors of our times have shown a liking to the negative role, but not the totally despicable type. Even if they have, they have also chosen to have the security of playing a double role with one character being a do-gooder. Andha Naal had Sivaji Ganesan as a completely unscrupulous person who would not even stop short of treason to make money. His detractors (though few and oblivious of his greatness) should take a look at this performance. They also should take a look at Uthama Puthiran where one can see upon close observation, a striking similarity to Rajnikanth’s famous brisk walk. Then, there is that famous scene from Thiruvilayaadal where he runs towards the shore after slaying a shark, very similar to what Superstar does. Even Kamal once said in a function that actors of all ages have taken something out of Sivaji Ganesan’s book, be it style or acting skills. What Sivaji did so many years back is adopted and replicated by so many contemporary stars- a compliment to his greatness. And if any of you still doubt whether the great man was overdoing it, then take a look at some of his films in the 90s. 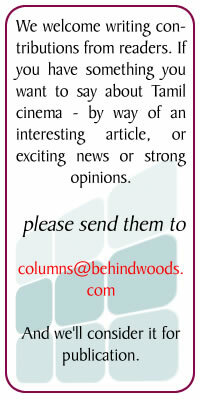 Cinema had evolved and he had understood the change. His performance in Thevar Magan must count as one of the finest in Tamil cinema, please go back and see the scene where he and Kamal Haasan talk in the courtyard, discussing about the hotel that Kamal proposes to build in the city. 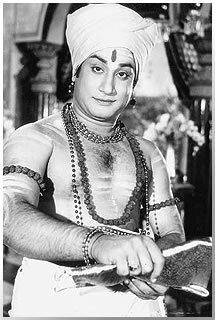 Such performances can come only from an actor of brilliance of the highest order, only a true genius can adjust to changing times and Sivaji Ganesan was one. Once the famous journalist and cartoonist Madan was asked, ‘Who is the better actor, Marlon Brando or Sivaji Ganesan?’ He said, ‘Marlon Brando is an actor who delivers to perfection what the director asks of him but Sivaji Ganesan used to do more than just that, he used to analyze and add to the character and performance. So, Sivaji is greater.' Do we need to say more? Another interesting fact is that in a survey conducted long back it was found that Sivaji Ganesan had a greater female fan following than the great M.G.R. Not because he always did emotional family subjects, but because they liked his style. If anyone still feels that the great man did more than what was required of him, then they are in the clutches of ignorance. Perceptions change with time. What was right then need not necessarily be right now and what we celebrate as acts of genius today may be ridiculed upon tomorrow. Wonder how youngsters thirty years from now will react to the patent star mannerisms, intro songs and one liners that we enjoy so much at present. The greatness of Sivaji Ganesan must never be subject to scrutiny. Seldom do men like him grace the screen. Why should Trisha & Nayantara get slapped? Rajini wants to be part of the change! Why Superstar shifted to chewing gum? The Thala Deepavali that wasn’t! Is Taare Zameen Par worthy to be sent to Oscars? Why did Venkat Prabhu name it Saroja ?